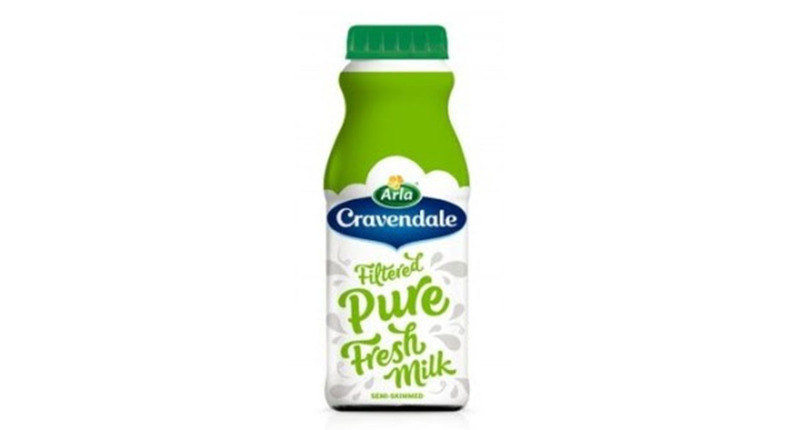 Arla’s 250ml bottle of Cravendale milk is now being stocked at Co-op, Asda, Nisa and Bestway stores. Following a successful launch of Arla Cravendale’s 250ml bottle in May, the convenience drink is now being stocked at Asda, Nisa and Bestway stores, as well as Co-op where it was originally launched. The extension of its availability enables Arla to grow its branded portfolio as well as helping consumers think about the different ways they can enjoy fresh milk. The ’on-the-go’ bottle can be found in the soft drinks fridge at the front of stores where fizzy drinks and juices dominate, appealing to an customers who would not have considered fresh milk as an on-the-go option before. Stuart Ibberson, category director at Arla Foods UK said they are ’pleased with how retailers have responded to Arla Cravendale 250ml’. He said: "Milk is widely recognised as an important part of a healthy and balanced diet, so coming up with a convenient way for people to drink fresh milk is incredibly important. "The smaller format allows Arla Cravendale to be stocked in the chilled on-the-go section at the front of store, challenging soft drinks with this healthy alternative. "We are pleased how retailers have responded to Arla Cravendale 250ml and are hopeful it will be stocked more widely in the coming months."